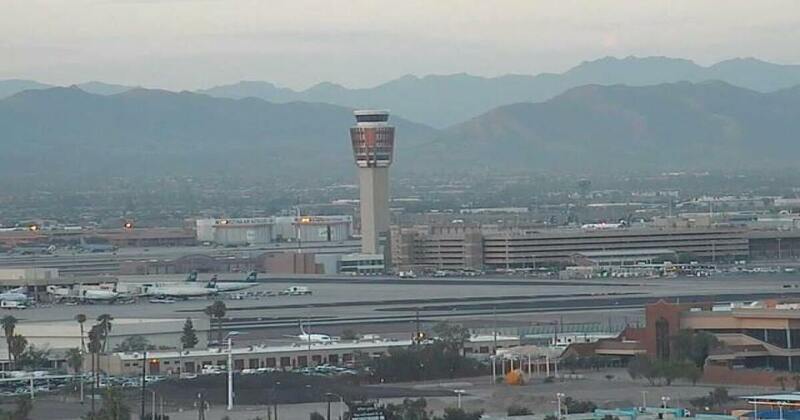 PHOENIX – Dozens of flights have been delayed, and about 20 others have been canceled today and from Sky Harbor Airport, because of winter weather across the country. 18 flights have been canceled today and 38 have been delayed so far. ,000 flights have been canceled at Chicago's largest airports as a snowstorm crawls through several Midwestern states ahead of frigidly cold weather. In addition, most traffic that is allowed to arrive at Chicago O'Hare and Toronto Pearson International Airport is experiencing delays several hours. Winter weather conditions are expected to continue to impact air travel the rest of this week. In Chicago, Wednesday's high temperature is expected to be negative 13 degrees. Wisconsin Gov. Tony Evers has a state of emergency because of snow and impending dangerously cold temperatures. Evers signed the order Monday that all state agencies assist if any emergency response and recovery are needed, because of the snowstorm and cold that has hit Wisconsin, Illinois, Minnesota, Michigan and other Midwestern states. As always, make sure to check your flight status ahead of time if you are traveling to or from either major airport in the Valley.